211 Bernard: TONIGHT! 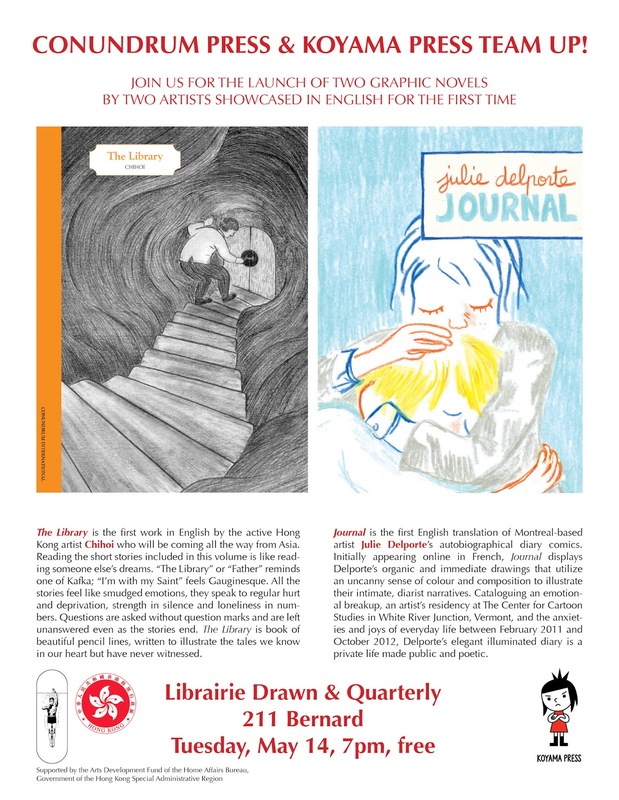 Double book launch with Julie Delporte and Chihoi! Tuesday, May 14! 7pm. TONIGHT! 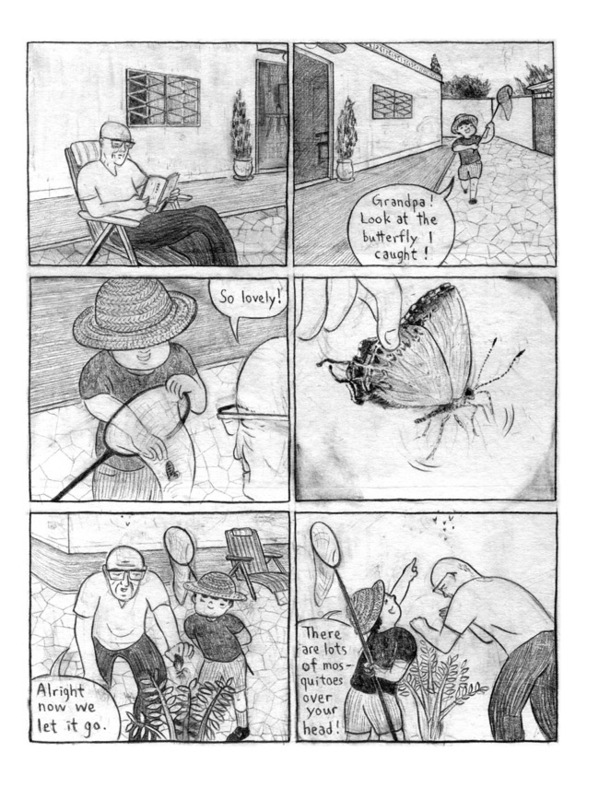 Double book launch with Julie Delporte and Chihoi! Tuesday, May 14! 7pm. 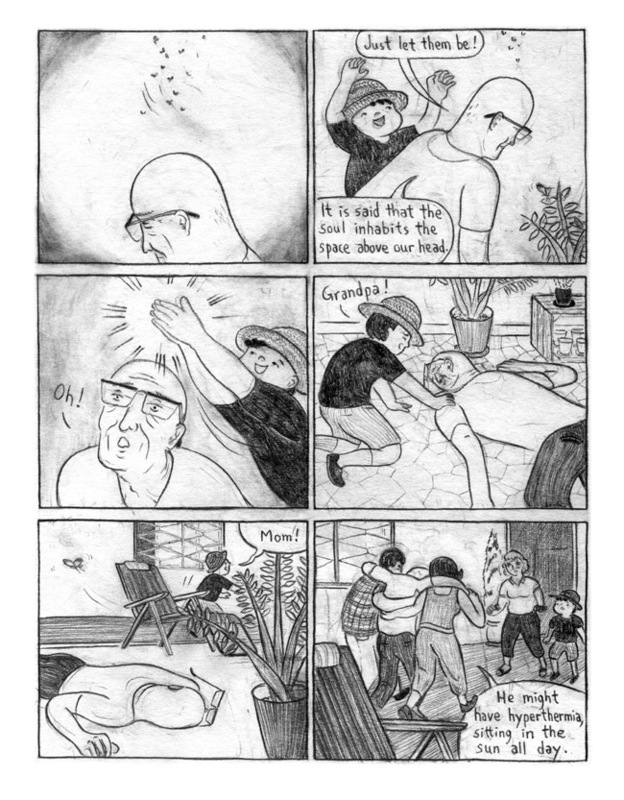 We're very excited to be hosting the launch of Chihoi and Julie Delporte's books! Join us TONIGHT at 7 pm at the bookstore. Visit the Facebook event here. 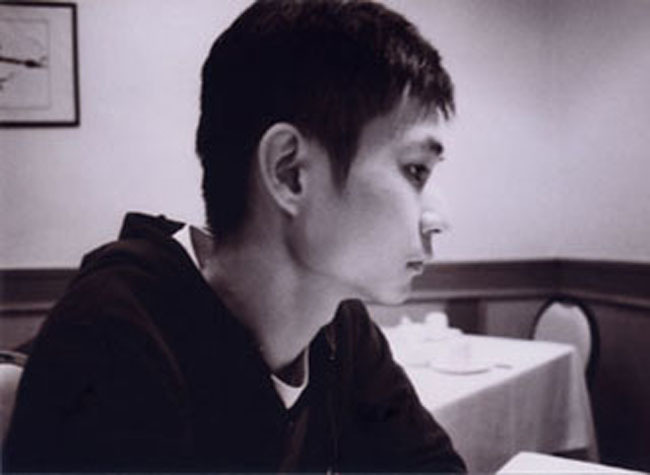 Chihoi is a Hong Kong artist whose books have been published in Chinese, Italian and French. Join us in welcoming Chihoi to Montreal and celebrating the launch of The Library, the first English-language publication of his work, published by Conundrum Press. 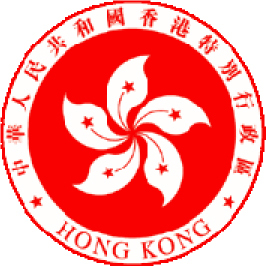 The Library is the first work in English by the active Hong Kong artist Chihoi. Reading the short stories included in this hardcover volume is like reading someone else’s dreams. They they speak to regular hurt and deprivation, strength in silence and loneliness in numbers. The Library is book of beautiful pencil lines, written to illustrate the tales we know in our heart but have never witnessed. 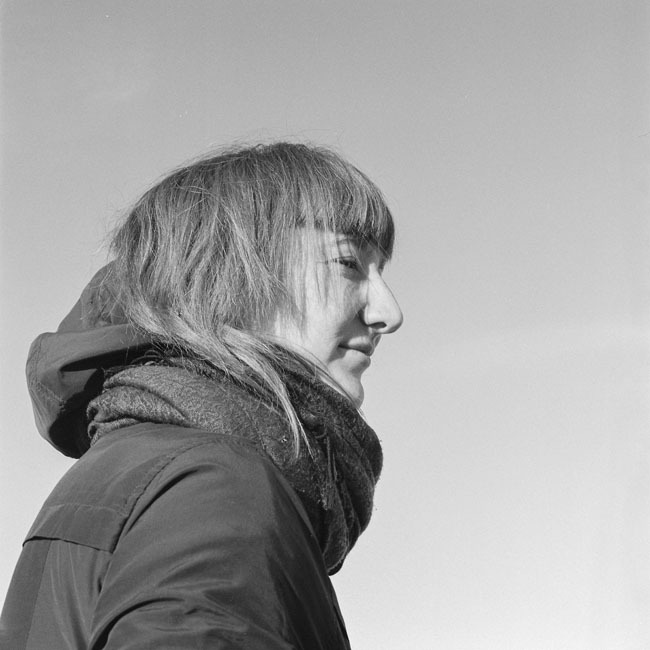 Julie Delporte is a Montreal cartoonist and the author of the children's book Je suis un raton laveur and several books published by Colosse. 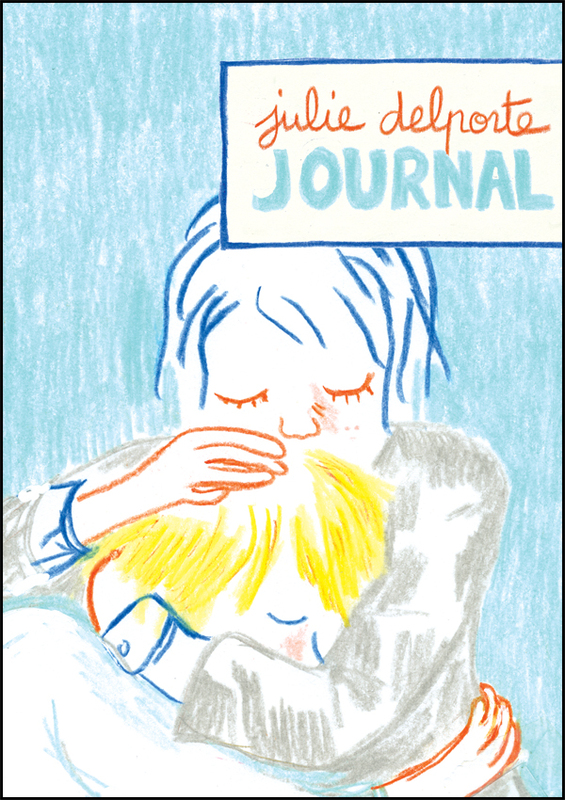 Join us in celebrating the launch of her book Journal, published by Koyama Press. 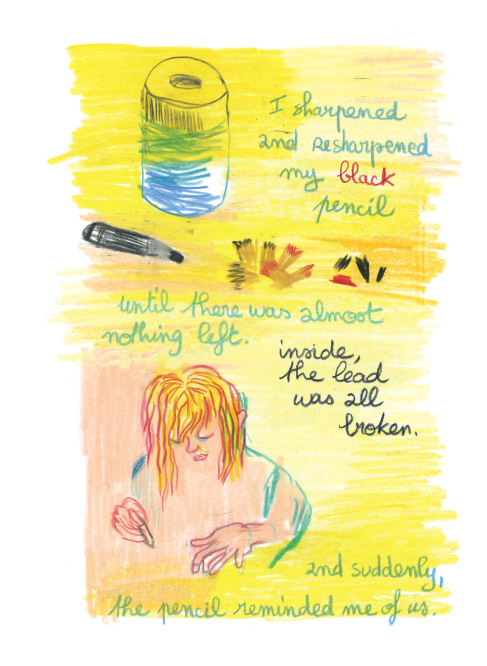 Journal is the first English translation of Montreal-based artist Julie Delporte’s autobiographical diary comics. 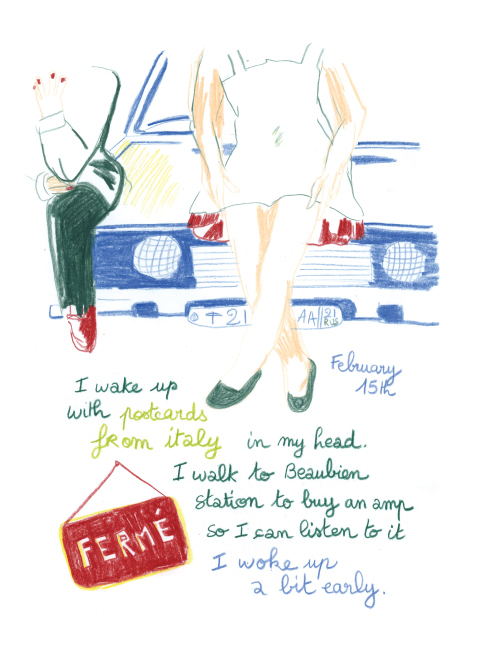 Initially appearing online in French, Journal displays Delporte’s organic and immediate drawings that utilize an uncanny sense of colour and composition to illustrate their intimate, diarist narratives. Cataloguing an emotional breakup, an artist’s residency at The Center for Cartoon Studies in White River Junction, Vermont, and the anxieties and joys of everyday life between February 2011 and October 2012, Delporte’s elegant illuminated diary is a private life made public and poetic.